Angela Magana is an American mixed martial artist who previously competed in the Ultimate Fighting Championship(UFC), Strawweight Division. She is also known for competing for Team Melendez in The Ultimate Fighter. As of 2018, she earns around $12,500 as a yearly salary, including to show $10,000 and $2,500 from Reebok sponsorship. In one of her interview, she revealed she had a fiancee who was killed in 2009 only after six months of being engaged. 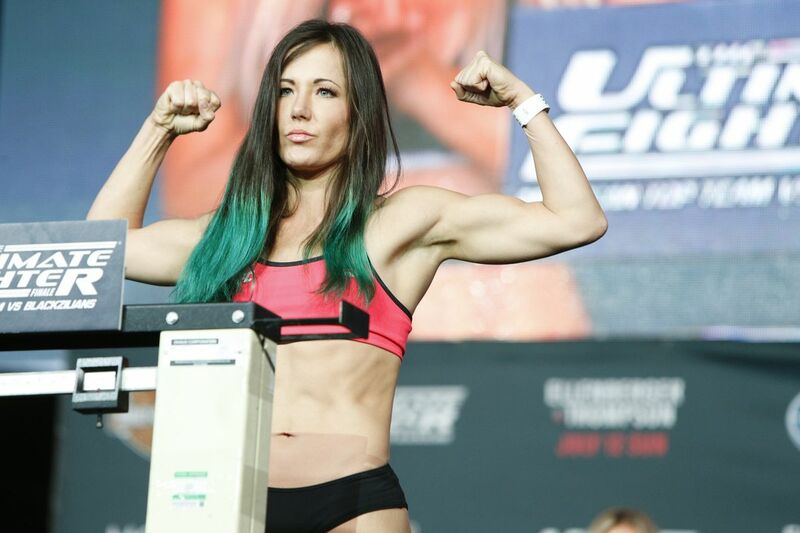 A world-famous UFC / MMA fighter Angela Magana was born in Los Angeles, California, the USA on 2nd August 1983. When Magaña was five, she lived with her heroin-addicted mother in the streets of Los Angeles. She is American by nationality and white by ethnicity. Further, her star sign is Leo. Her bed was any street or back alley that they could sleep for one night. Her grandparents finally took custody, but Magana was already scarred with the situations that no child should witness. Later, Her mother got overdosed and died at the age of 17. In 2017, Magaña fell down from three stories of stairs and eventually suffered a back injury. In addition, she suffered two car accidents, one of which she had been in a coma for several days. As of 2018, she earns around $12,500 as a yearly salary, including to show $10,000 and $2,500 from Reebok sponsorship and has an estimated net worth over six digit figure. The above-mentioned salary and net worth are estimated and there is no concrete source to claim her exact net worth and salary. Further, the entire source of her earning is from UFC/MMA. Magaña began her MMA career in the Gladiator Challenge 60 against Tia Castillo on 23 March 2007 and eventually, she won via TKO in the first round. Angela, a pro since 2007, received six wins by submission( 5 armbar, 1 RNC), two by KO. According to her UFC profile, she went 1- 2 with Jessica Aguilar in a trilogy and won Invicta FC champion Barb Honchak in 2010. On 3 December 2017, Magana announced publicly on Twitter that her contract with the UFC had been terminated after a 0- 3 record. In one of her interview, she revealed that she has a daughter named Delilah Magana. Further, she also confessed about her fiancee, who was killed just after six months of their engagement. Angela, during her interview, said that being in the UFC was a lifelong dream come true. Further, she is also known by her ring name, " her majesty".